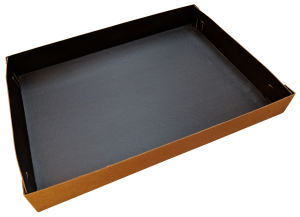 Boxmaster now manufacturing trays and boxes out of a recently introduced bake-able premium board. 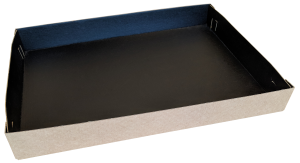 This board is approved by the Food and Drug Administration (FDA) which makes it food contact safe following our IFS PacSecure certification. 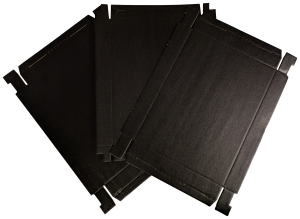 The paper can be baked in the oven, used in the freezer, or just cut as a premium black board to make your boxes stand out with the nice finish it presents. Please contact us for more information on this specialty item.